Something Fabulous is Happening in the Hamilton Wenham MA Community! The 3rd Annual show will run from July 13 – July 22 for 10 days. This is a must see event that we are so pleased to have in our community. It is a map guided tour throughout the two towns with exhibits and performances. Already in it’s relatively short history it has a fantastic following. They receive quite a bit of support from the community. People come from near and far to see the show. “They come on foot, by bike, in mini buses and in convertibles, this is Art Grows Here as it was meant to be.” says Sue Kassirer, one of the founding members and participants. Jill Herrick Lee another founder, organizer and participant will be unveiling her piece that now sits under the blue tarp in the photo above on the 13th! 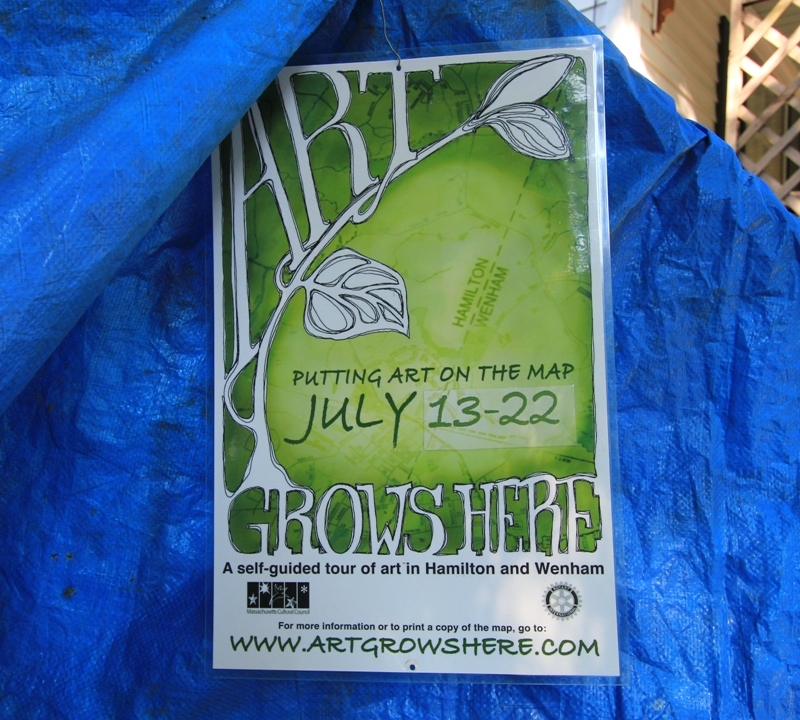 See their Facebook Page at Art Grows Here and Like them so you can follow what they are doing and see a map. Maps of the tour are also available at each site, The Hamilton Wenham Public Library, The Community House, Gallery Della-Piana in Wenham and True North Gallery in Hamilton.